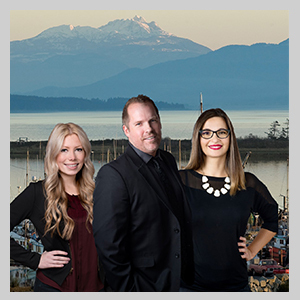 The Comox Valley is truly a great place to live and work, and there are many wonderful local businesses and professionals in our area to help you with any of your house and real estate needs. Here are a few that I’ve worked with many times in the past and can personally recommend. The Federal Government Integrated Relocation Program is a unique program that provides government entities which include the Government of Canada, the Canadian Forces and the Royal Canadian Mounted Police with increased flexibility and assistance to relocate Members/Employees to new work locations. Beata has lived in the Comox Valley since 1992. Her entrepreneurial background and experience with related challenges serve as a great benefit to her clients. She is a proud mom of three young men who were born and raised right here in the Comox Valley. Beata is looking forward to serving you! A team of energetic, customer-focused professionals, Mackenzie Gartside & Associates specialize in making the mortgage experience as smooth and easy as possible. Call today for your free, no obligation mortgage consultation. We been family owned & operated in the Comox Valley for 32 years. We specialize in indoor & outdoor patio furniture. With several catalogues and custom order options including reclaimed wood furniture, rattan, & patio furniture, bedding, rugs, accessories & unique home decor, we are your one stop shop for all your decorating needs. Aniel represents clients on a wide variety of legal matters ranging from small civil disputes to large commercial acquisitions. If you need the expertise of a professional accountant for financial planning & tax preparation in the Comox Valley, one of Daryl Robbins independent professional teams will get your finances on track & your affairs in order. Clarity Home Inspections (Gary Dry) provides professional home inspections with superior customer service in the Comox Valley, Campbell River and surrounding areas. Buying real estate is likely the largest purchase you’ll make. That’s why it’s so important to have someone you trust evaluate its condition before you hand over that down payment. Wayne’s a knowledgeable professional who knows what to look for in properties new and old. Whether you’re buying your first home or are adding to your real estate portfolio, he delivers the peace of mind to complete your real estate transaction with confidence. At Yellow Truck Septic, we are happy to do the dirty work for you. Allow us to show you what exceptional workmanship is, with our thorough septic tank cleaning services. Whether you need a septic tank installed or treatment plant support, call us. Dale’s Plumbing specializes in both Residential and Commercial plumbing. We specialize in ground-up construction plumbing combined with plumbing renovations. We are experts in our field. Mr. Rooter is a franchise of locally owned and operated plumbing establishments. Skilled technicians provide residential, commercial, and emergency plumbing services. Mr. Rooter provides upfront, flat-rate prices, no overtime charges, and 24/7 service. The Comox Valley Chamber of Commerce exists to be the ‘voice of business’ in our community. With approximately 600 members, the Comox Valley Chamber of Commerce is one of the largest Chambers in the province of British Columbia and the third largest on Vancouver Island. We work hard on behalf of our members to engage people in our community by supporting local events and organizations, hosting continuing education programs, and providing plenty of opportunities for networking. I am a proud member! Action Moving & Storage is a family owned and operated Moving & Storage Company, specializing in residential, commercial and office moves. Located in Edmonton, AB Action Moving is your Local and Long Distance Mover. Straight Line offers a wide variety of services to suit your building and renovation needs. These services include interior and exterior painting, powerwashing, handwashing of siding. Professional colour consulting is available at no charge to all clients. Straight Line Painting has a network of excellent sub trades for all your renovation and building needs. Our Guarantee: Is a quick response to our clients request’s, make things easy for our clients by keeping an orderly and clean work environment. Finally finishing on time and budget!